February 25, 2010 by Ken Ward Jr.
Consol’s own instream monitoring data show that for years chloride pollution from its operations has exceeded water quality standards. That pollution contributed to a toxic golden algae bloom that killed nearly all the aquatic life in a 35-mile stretch of Dunkard Creek last year on the Pennsylvania border with northern West Virginia. This formal “notice of intent to sue” comes after the U.S. Environmental Protection Agency and the Pennsylvania Department of Environmental Protection blamed CONSOL’s mine discharges for the destruction of Dunkard Creek last fall. In the legal notice, which I’ve posted here, the citizen groups note that the West Virginia Department of Environmental Protection authorized CONSOL’s pollution, repeatedly giving the Pittsburgh-based coal giant more time to clean up its discharges. (For more on that issue, check this long Sunday piece I did last fall and this blog post about the looming problem of conductivity water quality problems related to the coal industry). … The compliance order issued by WVDEP continues a pattern by WVDEP of being too cozy with the industries they are supposed to be regulating. WVDEP did not consult with the public nor did they adequately protect the aquatic life in Dunkard Creek. CONSOL has been given one extension after another to comply with the Clean Water Act, and it appears that WVDEP is more concerned with protecting the industry than with protecting the environment. It was only a matter of time before discharges from flooded deep mines in northern West Virginia would contribute to a disaster like the one visited upon Dunkard Creek last fall. In allowing CONSOL to violate water quality standards in the past five years, WVDEP was short sighted to say the least. Extending that permission after the Dunkard Creek event is unacceptable. It’s sad that citizens groups must end up being the backstop for enforcing the law. 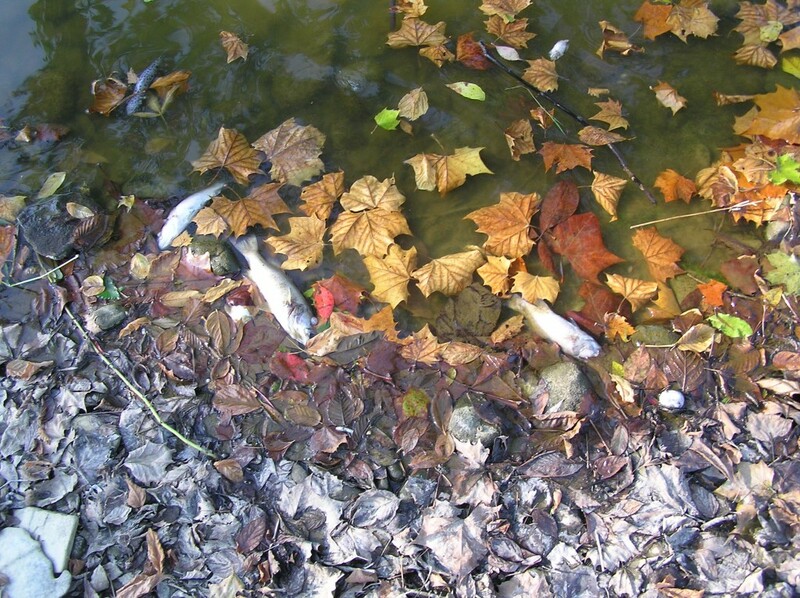 Chloride pollution can cause elevated conductivity in waters. Among other environmental impacts, elevated conductivity makes streams and creek vulnerable to algae blooms and fish kills like the one in Dunkard Creek last year. Experts say the Dunkard Creek incident should be a warning: Residents can expect to see more golden algae blooms and other damaging effects to stream life across Appalachia, as many other streams in the region already show high levels of conductivity. The recent Dunkard Creek fish kill was the same wake-up call for the coal industry that the Exxon Valdez spill was for the oil industry. I think it is dangerous to only say that high chloride levels are the problem. Along with the chloride is benzine, arsenic, mercurey, toluine, and many other toxic substances. Why isn’t anybody talking about all of the other toxic substances in frac fluid? If the focus is only on chlorides, the gas and coal companies may only remove the chloride from frac fluid and dump the rest of the toxic soup into the creeks and rivers. Because the chlorides in question that were permitted by DEP are from a mine pump discharge and not frac water. There are issues to be dealt with from frac water, but this has only recently started to become an issue as Marcellus shale gas extraction has increased in the area.